Hi all! I hope you’ve had a yummy week end. Mine has been pain ridden, though. I’ve been dragging my left leg around for a couple of days on and off, since my hip and lower back are a bit disjointed and I can’t stand up straight (or sit) without screaming. I have however used this opportunity to its fullest, hissing yeeeth mathter at people as often as I can, followed by insane giggles I blame on my pain killers. 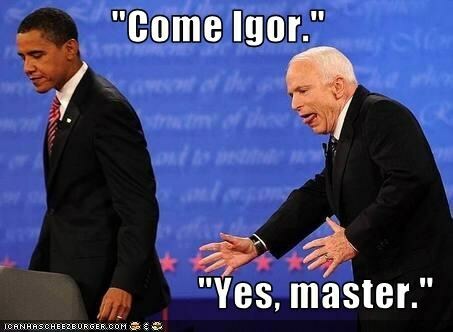 I just need a hunched back and golf ball eyes and the impression of Igor would be complete. Can you picture how pitiful and ridiculous I look? I have also managed to dig up a few bottle shots of four absolute beauties I’ve been dying to show you. I don’t want to swatch them until I move into my new place and my photo setup is perfect, you know? That’s how much I love them. They’ve been standing on my temporary bedside table (well, on the floor next to my mattress), for quite a while, I just can’t put them away. Aren’t they just the perfect shades for spring and summer? The Lady Vanishes It’s not Fair – a baby blue crelly with pink, copper, blue and white hexes in different sizes. The Lady Vanishes What heroes Are For. 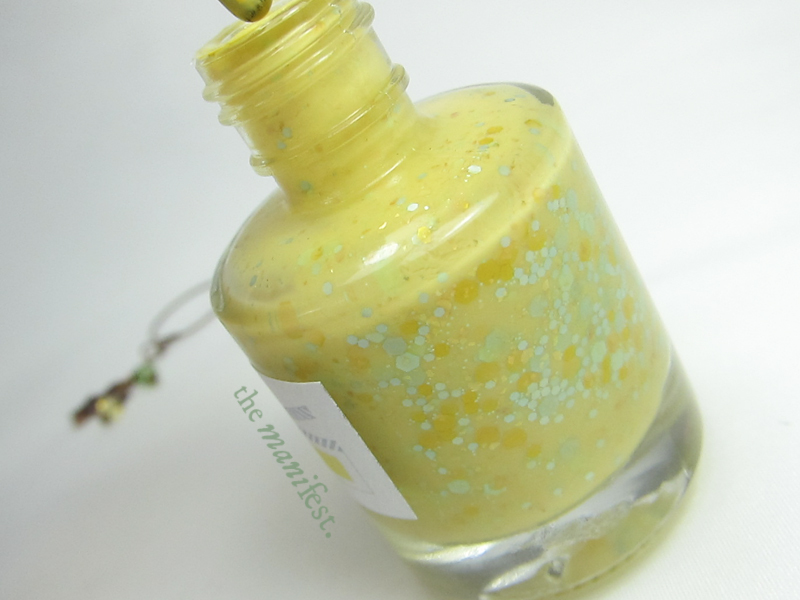 Yellow creme, or thick crelly, with mint and yellow glitter. The Lady Vanishes You Remind me of the Babe. 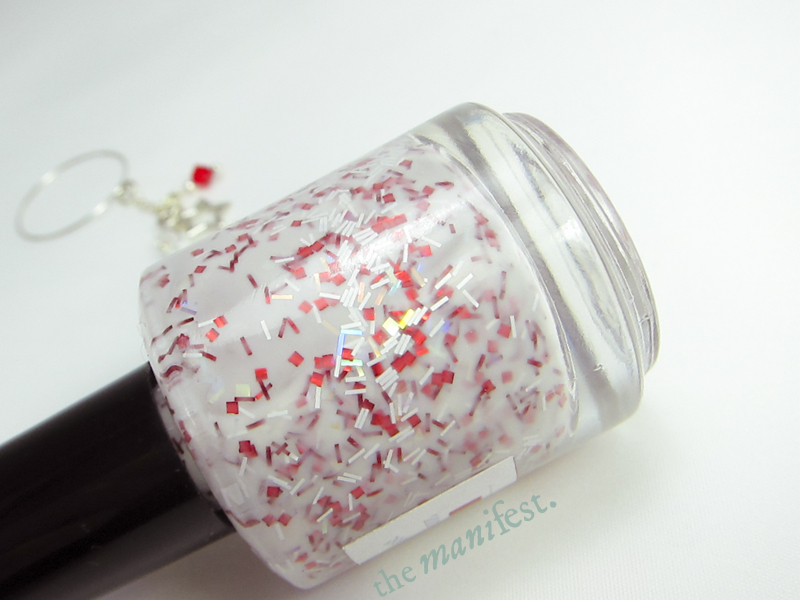 White crelly or jelly full of red square glitters and holographic, red and white bar glitter. The Lady Vanishes Short for a Stormtrooper. 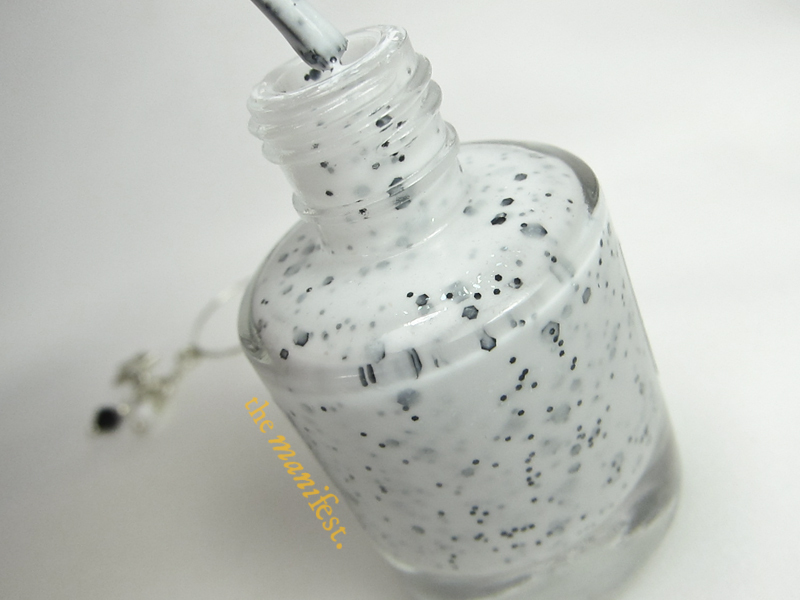 White crelly with a secret blue shimmer, and white & black hexes in different sizes. More on The Lady Varnishes and these beauties when I assemble a proper post. Sitting down to paint my nails or photograph them has been an absolute impossibility. Laying on the floor with a cat on my stomach has been my only relief. It really is too bad I don’t have a cat. Och den gula, visst ÄR DEN FIN!! Fotar så fort jag bara kan, måste gräva fram den bra kameran. Var har du köpt dom förresten? Visade min bästis Stormtrooperlacket och hon höll på att trilla av stolen. Så! Vi behöver nog göra en beställning! Haha. Förlåt att jag svarar så sent! Det finns på etsy, the lady varnishes. Kommer rewiev snart! Lovar!